As the year comes to a close, I figured it would be good to do a Year in Review, to look back at the games I played, or at very least the games that I thought really stood out. I don’t really want to rank the games as there are many apples and oranges in here and the comparison wouldn’t be fair. On the other hand, I have organized the games in sub-categories so that it would be easier to find the games that you might be interested in reading about. Note that I don’t really limit myself to games that have been released in 2013 but rather games that I’ve played for the first time in 2013. Another thing about this Year in Review is that I’ve noticed games that I thought I had played in the last year and I didn’t, which makes me want to play them again soon! Ahh, the pleasure of playing games! Never enough time to play all the games you love. I’ve broken down this post into three parts since when I looked at the list of games I wanted to go over, it was quite long! The second part will be posted next week and includes 2-player games, Light games and some Serious games. In Part 3 I’ll go over other gaming events of the last year, so stay tuned! In this first part, we’ll look at polar opposite: big meaty games and micro games. So, without further ado, let’s look at those games! I love me some heavy, meaty game. I don’t mind sitting around a table for 2, 3, 4 hours or even longer. Some of my best gaming memories of the last year involved games that lasted over 10 hours and after which I had a massive headache. I love them because they make my brain work overtime. I know they are not everyone’s bag, but for me, that’s what gaming is all about. Here are a few games that made my head hurt, but never because their rules were complex, but rather that the interactions of these rules and the mental gymnastics they required me to do were complex. Lots of fun and they will help you keep you sharp. Polis: Fight for the Hegemony : a simple game trying to recreate the Peloponnesian Wars, it is at its heart as much a game about conflict as a game about resource management and trying to keep one step ahead of the system. It plays fairly quickly (less than 2 hours, once you know the system) and it isn’t that hard to explain, although it helps if both players have read the rules ahead of time. The game gets very tense during the second era as you may start to have problems getting enough wheat to feed your population. If you’re not careful, your entire civilization might fall (and you might lose the game) simply because you couldn’t feed them. Tense, fun stuff. Well worth hunting down and playing. A Distant Plain: My love for the COIN series is well known and documented on this blog. I’ve reviewed A Distant Plain in the past and previewed the next title in the series, Fire in the Lake. What I love about the series is that, apart from a common framework, they each bring a new look at very asymmetrical situations, each offering a very different experience and frustrations. While some may find the structure a little too gamey, it does really highlight what it feels like to have to deal not with one enemy, but three, one of which claims to be your friend. Understanding how the different mechanics affect your position as well as the position of your adversary is half the fun. Not knowing what is coming up or when the Propaganda card which may signify the end of the game will come up is certainly the other half. With another 6 or 7 in the planning phase, there’s a lot left in this series and I can’t wait to see where it will go next. 1817: This is, according to many, the ultimate 18XX game and, by extension, the ultimate free market stock market game out there. Using the bare bone 18XX system and grafting onto it mechanics to allow for short selling was nothing short of genius. Granted, this game is one of the longer one on this list to play. On the other hand, one of the best gaming memory of the last year, and perhaps one of my top gaming memory ever, occurred during a game of 1817, where, through the agency of short selling, saw the destruction of not one but 3 different railroads which were solvent before the round started. Guess only in this type of game will you see a speculation bubble grow and then burst. Priceless (even if the game isn’t. It’s one of the most expensive in my collection). Ground Floor: A worker placement game, or a time-management if you were to go with the game fiction. which is actually one of the better one I’ve played in a long time. Unfortunately, I only had the chance to play it once and it lead to my wanting to do the 10X10in2014 Challenge since I feel I miss out when I don’t get to pull out specific games too often. This is a beauty, with fairly simple rules and the possibility of building a nice engine. It is fairly simple to teach but the players will grapple with making sure they have enough time to get the money and information they need to push their business to success. The hiring mechanic, which is based on the changing economic climate, is quite brilliant. Terra Mystica: This one has had quite the year. Big splash at Essen when it first came out (and why not, it has quite the pedigree with Uwe Rosenberg being behind the creative team) quickly sold out and took it sweet time to come back into print. It has everything going for it, with many types of resources, lots of wooden bits and many different ways to score victory points. But, it felt flat for me. After the first game, I did like it. It seemed very intriguing and looked like it was a winner, but when I had the occasion to play a second time, it felt flat and overly complex for what it was. It became quite obvious that, unless you knew exactly what to do, you would fall behind quite quickly and had no chance of coming back. Maybe if I gave it an extra chance, but there are so many excellent games out and coming out all the time that I won’t probably be playing this again. Keyflower: A superb game of worker placement/auction mechanic which, with the right group, can flow quite nicely. There’s a slight learning curve as to the tiles you bid on (it helps to know what’s coming in the last season since it will guide your game) and with the Farmers expansion out (should be getting mine in January), it will make sure that this game will hit the table very often. For a good overview and more thoughts about the game, please see my review. Hegemonic: This is a strange beast: it was originally sold on Kickstarter as a 4X game and, while I do like it a lot, I’m still unsure on whether or not it is actually a 4X. All the elements are there, with exploitation and expansion up front, but I feel that the exploration and the exterminate aspect are maybe a little weak. Don’t let the rulebook fool you, the game is actually fairly simple once you’ve got a handle on the conflict rules. Gotta do a review of this very soon and since it is also on my 10X10in2014 list, I’ll be exploring this one in much greater depth. 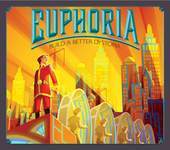 Euphoria: Is this my game of the year? Well, considering that I’ve played it every week since I got it and it is also on my 10X10in2014 list, odds are really good. I love the simple rules, the nastiness of the unbuilt Markets, the nice twists of the recruits and the ease of correcting your course (no economic engine here, which is very different for a Worker Placement game). I’m still not 100% sure that a player who has a lead (read: missing 2 stars to win) is stoppable, but time will tell. Expect a review very soon. I’ve commented on this trend over the last year and I have to admit that I do love it. Small games, with not a lot of components, that have fairly simple rules but that pack quite a punch and generally have a short playing time. There’s only a handful of them out there right now but with more coming on the horizon. I’m personally looking forward to Sail to India (even if the playing time is more along the lines of 1 hour) and Cheaty Mages, and particularly to playing more games of Master Merchant so that I can see what I really think of it. 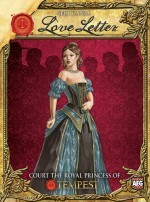 Love Letter: I love this game. As a matter of fact, it lives in my bag and I’m always ready to get a quick game going. I’ve written about the rules and my impression of the game here, but what always impresses me every time the game comes out is how quickly people pick up on the various strategies and how fast the smiles come out even when they are knocked out. It’s a game where you can see quick reversals and surprise endings. Fun for everyone and every game library should have a copy. With all the different editions that have been done/coming out, there is a version for you out there. 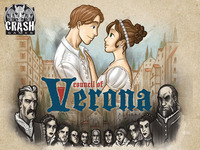 Council of Verona: This little game also packs quite a wallop, especially when you add in the Poison expansion (now available on the BGG store, which is great). Simple to the point of taking longer to explain the first time than to actually play a hand, this is the type of thinky game that you should carry with you when you’re going to the pub. I love the drafting mechanic at the start of each hand, insuring that you will have somewhat of a plan before playing your 3 cards. Check out my review or better yet, get it for yourself. Suspense: Another micro game, but this time it’s one that makes my head hurt a little bit as it is deeper than the first two (and yes, there is a review of it, in a way. I looked at the last prototype here). Again, the common thread is that of partial information and how the players manipulate the cards. The big difference here is that a key part of that info, the victory condition, is only known to the dealer. Simple rules for a very fast game, well worth playing. I really do hope that more people will pick up on this superb little game. Stay tuned for part 2 and happy gaming! This entry was posted in General and tagged 2013, Year in review on December 28, 2013 by TopDog.